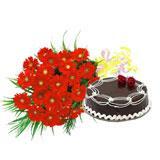 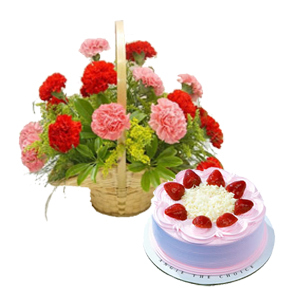 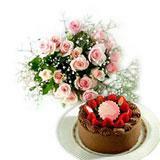 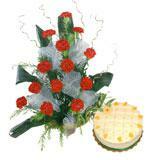 A gorgeous basket of 12 red & 12 pink carnations and a 1/2 Kg strawberry cake can make the day for anybody. 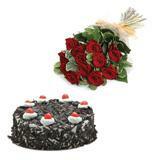 Gift this grand combo to all cities in India for your loved ones for the next occasion and make their day special. 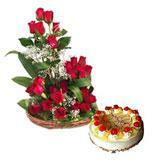 Sending Gifts across India through GiftsAcrossIndia.com to your loved ones and make them feel special.